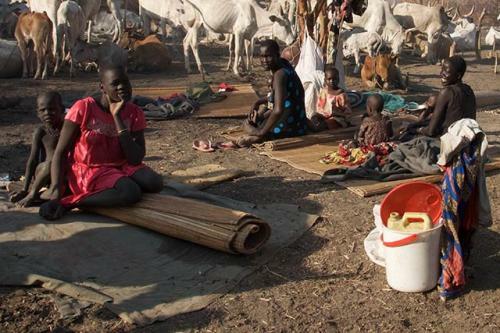 About 4.9 million people or more than 40 per cent of South Sudan’s population is urgent need of food. The widespread famine has left thousands starving. Ethnic conflicts, crumbling economy and drought have led to the worst food shortage in years in the region. Many believe that this is the worst hunger catastrophe since fighting erupted more than three years ago. News agency Reuters recently reported that households are now surviving by gathering food, as they are unable to grow their own or earn money to buy any. Families in the region, who also have to hide from patrolling gunmen, haven’t eaten in days. Famine is affecting parts of Unity State in the northern-central part of the country. A formal famine declaration means people have already started dying of hunger, as per UN’s Food and Agriculture Organization (FAO). By July, around 5.5 million people or nearly half the country’s population, will not have a reliable source of food. A newly-released Integrated Food Security Phase Classification (IPC) analysis shows that at least 30,000 people are living in extreme conditions and are facing starvation and death. "The people are predominantly farmers and war has disrupted agriculture. They've lost their livestock, even their farming tools. For months there has been a total reliance on whatever plants they can find and fish they can catch," said an FAO representative. UN agency FAO has underlined the need and ways to support fisherfolk in the country to improve food availability a Emergency Livelihood Response Programme in the region. As the crisis intensifies, more people may resort to fishing. FAO is distributing fishing kits to people affected by the crisis to provide an immediate source of food, providing a means to survive, but also offer income opportunities to enhance their ability to bounce back.